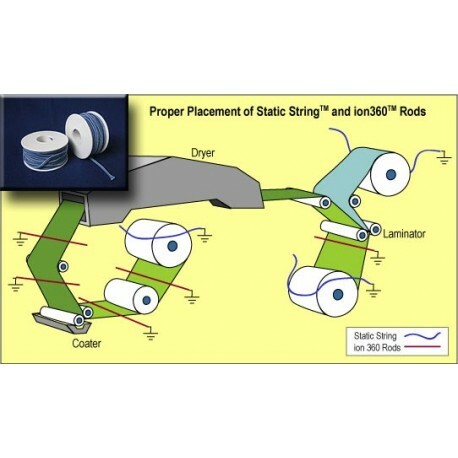 ANTI-STATIC ELASTIC similar to ANTI-STATIC STRING, this option offers the advantage of stretchability. 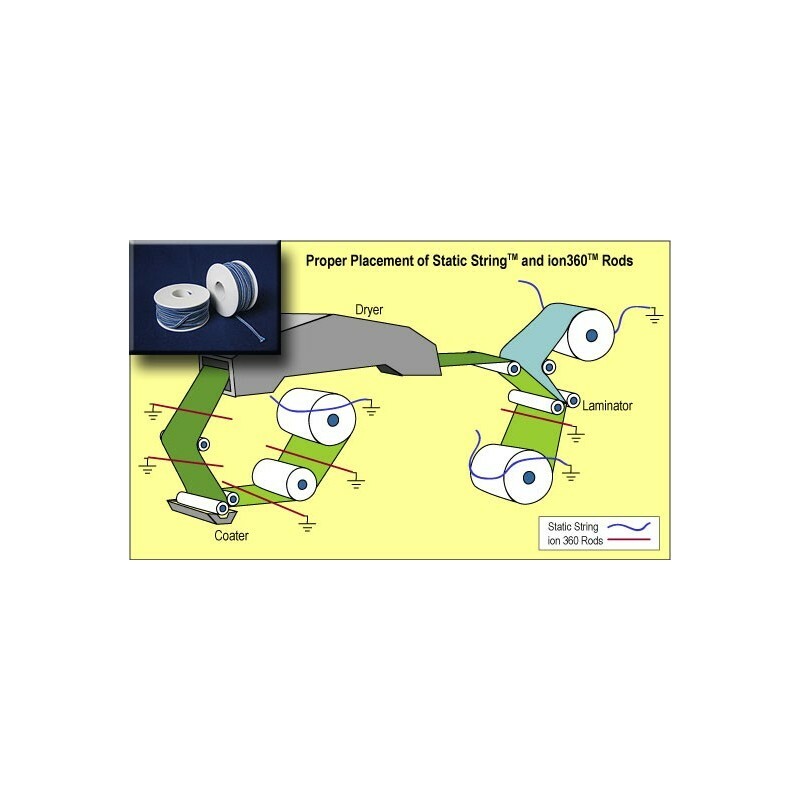 Stretch it out of the way or snap it back into positiona great solution for applications requiring access to equipment for maintenance and web splices. To install, simply ground string to the bare metal of the machine and drape the length across the surface to be neutralized. Adjust the distance from the charged sheet or web from direct contact to up to two inches away until you get the optimum static neutralization. Place string either under or over a web or sheet can be used in multiple locations wherever static is a problem.